01/06 - Pre-surgical situation. 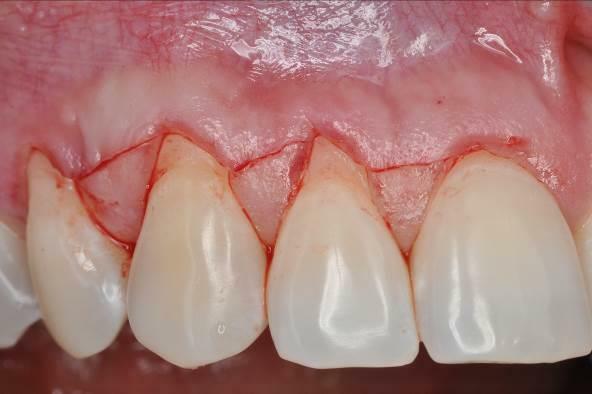 Multiple adjacent gingival recessions at teeth 12, 13 and 14. 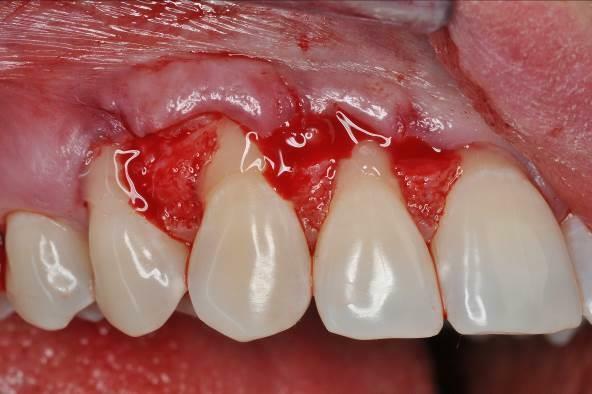 02/06 - Oblique incisions according to the modified coronally advanced flap technique (Zucchelli & De Sanctis J Periodontol. 2000). 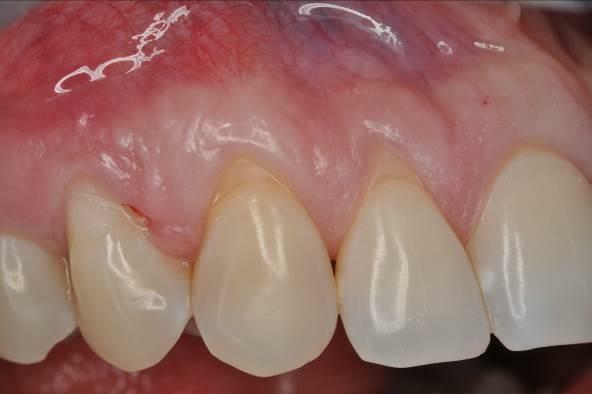 03/06 - Application of Straumann® Emdogain® to the root surfaces. 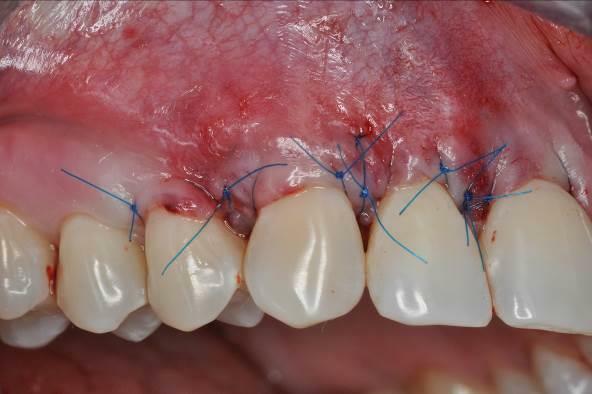 04/06 - Rehydrated mucoderm® placed over the root surfaces and sutured to the wound bed. 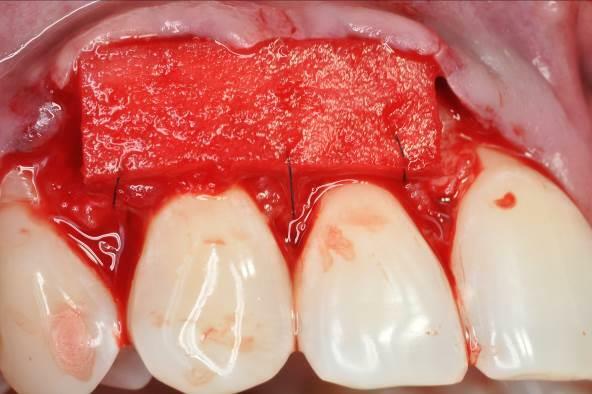 05/06 - Complete coverage of the mucoderm® matrix and tension-free flap closure. 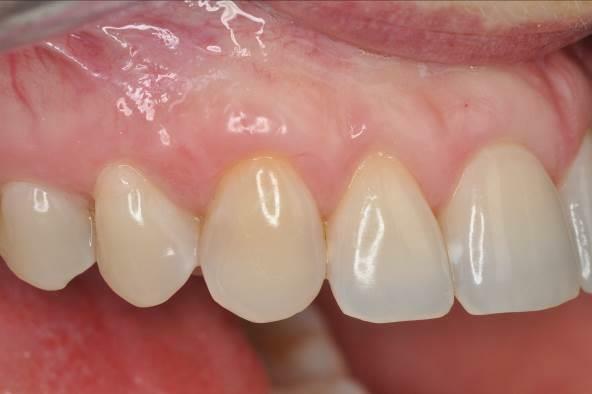 06/06 - Clinical situation 5 months post-operative.